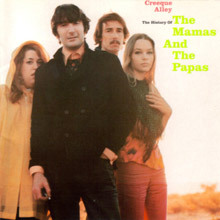 Although their career barely spanned five years The Mamas & the Papas’ superb blend of traditional American folk music and the emerging pop beat sounds made sure that while they were hardly ‘hip’ in the jargon of the era at least, in the first instance, that didn’t matter because they forged a truly individual sound. Basing their bag on glorious four part harmonies, sweet semi-acoustic melodies and the brilliant song writing of leader John Phillips – with fellow members Mama Cass Elliot, Denny Doherty and Michelle Phillips providing the visual foil to John’s upright qualities – the group released five studio albums and enjoyed a string of single hits, not to mention combined sales of 40 million records worldwide. 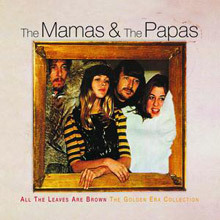 Happenstance or being in the right place at the right time are a prerequisite in most pop music histories but The Mamas & the Papas tale is particularly based on the fates. In 1965 husband and wife team John and Michelle Phillips were part of folksy act the New Journeymen, while Canadian Doherty was in the Mugwumps. Cass Elliot was another part time Mugwump with an urge to go solo and sing standards. Once they cohered it was an odd combo to say the least because John had to be persuaded to embrace the then new sounds of the British invasion but would later become one of the most ‘out there’ cats in California. But we digress… still nominally Journeymen the foursome spent a few weeks slumming it in the Virgin Islands perfecting a more electric noise. Another slice of luck arrived when they met up with Lou Adler, co-owner of Dunhill Records, who became manager, mentor and producer, while landing the group a five-album deal. Eventually settling on the new name The Mama’s and the Papa’ ( that’s how it appeared) for debut album If You Can Believe Your Eyes and Ears – and by the way, that was ‘Mamas’ as in what Hells Angels called their ‘old ladies’ – Phillips and company hit the ground running. Not only did the album soar to the top of the charts for a week in May 1966, the two hits, California Dreamin’ and Monday Monday established them as an instant smash success. You couldn’t argue with that sound; it had a similar effect as the mass adulation awarded The Beatles, whose Paul McCartney was incidentally a great fan. Adler’s spot on crisp production and the ready-made brilliance of those blood-line harmonies were also allied to a good-feel factor that appealed across the board. What was not to like? 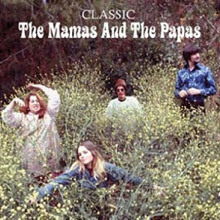 The swiftly accomplished follow-up, now simply called The Mamas & the Papas, was more of the same good stuff. It went top five in August 1966 and spawned further singular love-ins via I Saw Her Again and Words Of Love. John’s fastidious approach aside the group were also trailblazers since they enlisted top class studio assistance from the likes of P.F. Sloane, Tommy Tedesco, Hal Blaine and Larry Knechtel, in many ways picking up where Phil Spector’s Wrecking Crew left off. Oh, yeah. The uncredited piano organist on No Salt On Her Tail? That was one Ray Manzarek, moonlighting from the very beginnings of The Doors! It being the sixties nothing was simple in the band’s love lives. Michelle had enjoyed a fling with Byrd Gene Clark and even a liaison with Doherty, which led to the unlikely situation of John sacking his own wife and replacing her with Adler’s girlfriend Jill Gibson. Problems were ironed out and due to fan pressure the lovely Michelle returned to the fold bringing her drop dead good looks and model beauty poise with her. Michelle’s image was so vital to the band that her husband could grudgingly laugh and admit that she could have been their front woman. Third album Deliver, the title a smart reference to the arrival of a new platter and Mama Cass’s pregnancy, followed The Mamas and the Papas show stopping performance at the Monterey Pop Festival in June of 1967. That event, held at the Monterey Fairground, set the template for the Summer of Love and was jointly organised by Adler, John Phillips and mover and shaker Alan Pariser. Even though acts of the rocking calibre of Jimi Hendrix and The Who, not to mention Otis Redding, set that idyllic festival alight, The M & Ps were blissfully received; and since John also acted as compere for many of the groups, their image was significantly boosted. Deliver was another exemplary recording – including the hits Dedicated To The One I Love, Look Through My Window and Creeque Alley, a slice of instant ‘this is us’ nostalgia co-penned by the fully rehabilitated Michelle. And so to their fourth album, gamely entitled The Papas & The Mamas. Now, this psychedelic affair, written almost immediately post-Monterey, is a different proposition altogether. While the summer air sounds and box fresh harmonies are far from missing there is a more considered, downbeat tone to the song writing, and the air of a loose concept at the root of songs like Safe In My Garden, Mansions, Too Late and Rooms. It was as if Phillips had foreseen the pressures of stardom and imminent celebrity for the entire West Coast clan. To add to the mystery John decamped the group to his house in Laurel Canyon and took full control, even offering his first solo vocal on the track Meditation Mama. Another oddity was Gemini Childe, evidently inspired by seeing Hendrix a few months earlier. Whatever, the entire mood is far more progressive, with future Byrd John York laying down fat bass runs on Rooms. Perhaps it was here that the group decided they’d reached a conclusion. Mama Cass’s Dream A Little Dream Of Me, a cover of a 1930s ballad, was her way of telling the world she was going to pursue that solo career after all. Meanwhile Phillips himself could hardly argue with that, since his Twelve Thirty (Young Girls Are Coming To The Canyon) was a fully realised, grown up appraisal of the entire scene in California, a song that set down a marker for his own future solo debut – John, The Wolf King Of LA. After an amicable separation they reformed for the aptly named People Like Us, which Michelle referred to as sounding like four people trying to avoid a lawsuit. But as reunions go this was worthwhile. It featured Pearl, obviously a tribute to the late Janis Joplin, and cracking numbers like Snowqueen of Texas and the title track itself, the last thing they ever recorded together. Again Phillips was on his game, bringing in Jazz Crusader pianist Joe Sample, ace guitarist David T. Walker and drummer Earl Palmer. All and any of their albums are recommended; each one captures the spirit of the times. There are also comprehensive Best Of’s to enjoy which vouchsafe for the enduring quality of their work. 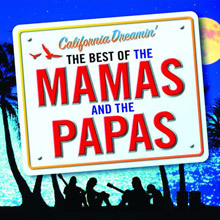 California Dreamin’ was a top thirty compilation in 2006. Great music like this doesn’t die. It simply gets better with age. 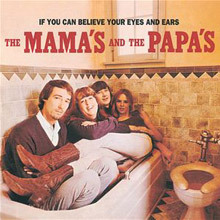 Mamas and Papas – guaranteed to bring a smile to your face and a put a song in your soul.